Not nearly enough empty shelves yet, but I’m working on it – I’ve packed up my sewing stuff (1 bin), spinning fibre (1 bin), my coffee grinder and air filter, and pretty much all the books that I’m taking with me (8ish small boxes). 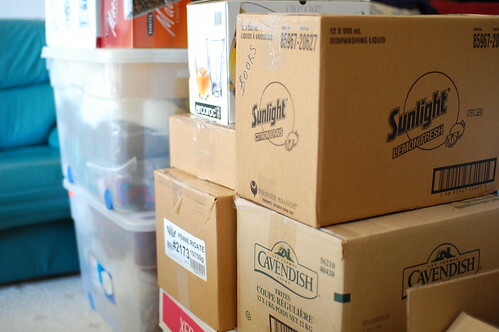 By the by, if you’re in Toronto and have access to a Food Basics, it’s a great place for moving boxes – and they’re bigger than at the LCBO! I’ve measured my new place, although I’ve got a few discrepancies in my own work to figure out, and I’ve been playing with floor plans in Illustrator. I’m thinking that I might get fancy and use Google Sketchup to do some 3D modeling of the place to virtually move furniture around, but who am I kidding? I don’t have time for that! I’ve been spending non-working days shopping for furniture, mainly a sofa and a new mattress. I think I’ve found a sofa and it’s on super sale! Even with delivery and tax it’s under $500, and it’s leather. Sadly there isn’t much to be found other than Ikea that isn’t super expensive or covered in microsuede or whatever (I hate the texture). Mattress is being narrowed down too, although I think that among the various ones I’ve liked I won’t be able to tell too much difference once it’s bought and done. I wanted to upgrade to a queen size, but I think the space might be too tight – with a full/double size I can keep my own bedframe and sheets (although I want new sheets too!). I’m getting a free nice smaller, wood dining table and some chairs from home, and I’m hoping to do some kind of bench seating for the other side of the table. I wanted to ikea hack a banquette together but I’m not totally sure I have the requisite know-how! Then there’s the shelves…oh shelves. Do I go with the classic inexpensive yet oh-so-cheap looking and cheaply made Billy bookcases or not? I’d really prefer to go with something solid wood, something a little nicer…but they might have to do for now. The top one is a pearly gray shell button, but it’s a little big. I’m leaning towards the bottom one, which is faux tortiseshell (read: plastic). But I’m not married to a decision! Help me out – what do you all think? Congratulations on the new digs. Re: buttons, if you want them to pop out and be noticed as a design element, then pick the top one. If you would like them to blend in and be less noticeable, then pick the bottom one. Choices, choices – what is a knitter to do? 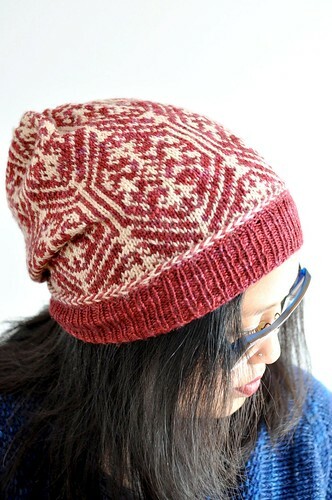 I say go with the bottom one … It looks lovely against the colour of the yarn. I think the bottom button is the loveliest. Can’t beat those Billy bookcases. A friend screwed hers together and then put molding over the fronts and they look fabulous. I like the bottom button too. Definitely the bottom one. I think it pops but still goes great with the color. I’m a fan of pink and grey together, so I’ll vote for the top button. I’m not loving the bottom one with that shade of pink. also, check out expedit at ikea – a little nicer, promise! I definitely like the gray button better–it brings out the subtle blue undertones in the cooler pinks and hilights the varigation of the yarn. The lower button seems too brown for such a beautiful pink and the reddish overtones make it blend in, as if trying to hide whereas the gray steps out and works with the color using obvious contrast and subtle coordination. I like the blue/gray one — a nice contrast with the pink. Definitely the bottom one…the gray is too subtle and gets washed out. I definitely vote for the top button- I love the way the gray and pink look together. Looking through the comments, though, it looks like we’re about evenly divided between the two- guess we’re not much help! 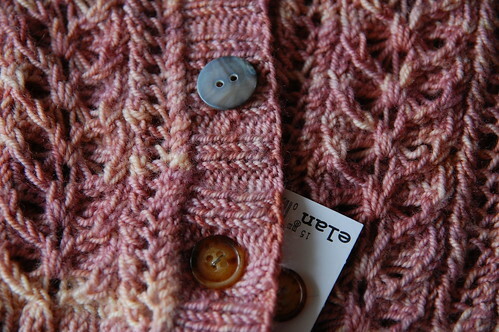 I love the top button; it brings something out in the yarn. I would 100% go for the tortoiseshell button! good luck with the packing! I must say I favor the larger grey button… it seems more elegant or something! I vote for the bottom brown button. I think the brown goes with the pink better. I totally agree with kelsey louise~ it’s like she read my mind! Grey button would be my choice. Definitely, definitely the grey button on top. The colour works better with that yarn, I think the faux-tortoiseshell is the wrong shade to compliment pink. I’d go with the grey ones, it matches better in my mind. As for the bookcases. I don’t know. It depends on what you want to do with them. If you want to make a wall of shelves or something like it Billy is definitely one of the better choices. If you’re looking for singular bookcases, that look good on their own, Grevbacks are pretty nice looking, and are really solid. They’re also nice and big. Good luck with your move, and enjoy your apartment! I think I like the brown buttons better. I say, go with your gut on the bottom ones. Congrats on the move. I hope everything goes smoothly for you! Definitely the bottom button. Go with the Billy – ours have lasted for AGES and we didn’t think they would. Congrats on the new T.O. digs! The tortoiseshell button looks beautiful to me! Have you thought about maybe a soft black/charcoal button? I love pink + brown, so I would say the bottom button! Congratulations on your finding your own place! My vote goes to the grey one, for sure. I like the top button best. The bottom one kind of disappears and looks like it doesn’t fit the sweater well in size or color. Good luck! Definitely bottom. It doesn’t look cold like the top one does. I say the brown ones–the gray ones are too cool and don’t go with the warmth of the pink like the brown ones do. The top one looks a lot classier should you want to dress it up a little — and it’ll still look great with jeans. Clearly, you’re going to have a tough choice to make. I’m voting for the top button since it is a nice contrast but still works with the yarn. Good luck choosing furniture, that can be so frustrating. Tough choice–I personally like the gray with pink combo, but you don’t want to have to wrestle your buttons in and out of their buttonholes! And on the topic of bookshelves–I have a Billy bookshelf that’s been in constant use since I got it 10 or more years ago. The shelves have held up to the wear and tear, but that back got pushed off by the oversized books on the bottom shelf, and the whole thing is sufficiently unstable that it had to be bracketed onto the wall! Wow, moving is a lot of work, but fun, too! I prefer the second button on the sweater…to me, it blends nicely and doesn’t take away from the sweater itself. The gray button, for sure. I very much enjoy the faux tortise shell button. It makes the colour seem richer. I think the bottom buttons work more harmoniously with the sweater as a whole, but if you wear a lot of black or grey than the top button will work well with other choices from your wardrobe allowing the sweater to match other items you wear a little better. DEFINITELY the top one. There is no other choice. In the USA most of the furniture stores will make the moveable model for furnture placement and give it to clients,even if you don’t buy any furniture there. It was a great help for me when I did over my den and livingroom. All they need is the exact measurements of the room. BUTTON! The colors are just so intriguing. I think the grey brings out the many colors of the yarn. OMG, I am so glad that there’s someone else who doesn’t like microsuede. I can’t stand the stuff, but lately it seems like EVERYTHING is covered with it. We’ve just had an offer accepted on a house and my husband’s being playing with Sketch Up. It seems to take him a fair bit of time to achieve anything though. On the otherhand, I’ve been playing with the Ikea Home Planner software – it’s a free download – and I’ve got useful results very quickly. I’ve been using the kitchen planner but there’s a bedroom planner and one for workspaces too. I quite like the Billy bookcases and am thinking of getting some for the new house. Currently though we use Ivar which is real wood. It’s also a modular system which makes it more flexible for the future. It’s not in the new catalogue though so I wonder if it’s on it’s way out? Oh, tough choice. I think I like the bottom button but it’s really close for me. Also, I don’t know your style but don’t forget vintage shops, antique stores and charity shops. You can find furniture that was actually built well with real wood for fair prices. In our den we have the Leksvik units from Ikea and they are holding up well to repeated (kid) use for years now. Which I think is the truest test. The gray button on top looks best with the color of the yarn. It may be too late for my input to count, but I actually really gave a lot of thought to this, and I vote for the gray button! I think it’s more modern and chic. But both are nice, that’s why it was such a tough call! I hate to say it, but can we have a 3rd choice? I’m not terribly fond of either with the beautiful stitchwork on the sweater. 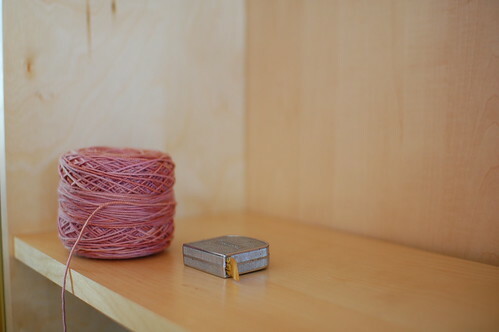 hues of the pink/beige yarn. The grey really doesn’t match at all. Thanks for letting me give my opinion. I don’t like either button to be totally honest. How many do you need? We just moved, and had 3 Billy bookcases–tall ones–with glass doors. Oh, were they a pain!!! We’ve bought nice, solid wood bookcases at Staples before. They were on sale, like most things there, don’t pay full price! I vote for tortoise shell button. It has a warmer colour than the grey. After researching just a few of the weblog posts on your website now, and I really like your way of blogging. I bookmarked it to my bookmark website list and will probably be checking again soon. Pls try my web page as properly and let me know what you think.